The sixth round of Recovery Act recipient data (covering the fourth quarter of 2010) has just been posted on Recovery.gov, and it feels like something out of the movie “Groundhog Day.” As with every previous round, the employment figures are both disappointing and frustrating. The disappointment comes from the fact that the total number of full-time equivalent jobs associated with ARRA funding in the quarter declined sharply, dropping more than 13 percent to 585,654. The drop in the previous quarter was about 10 percent. The numbers are frustrating, because the very same anomalies I’ve been blogging about each quarter refuse to disappear. These include the strangely low job figures reporting by many ARRA grant and contract recipients. Of the 57,000 grant prime recipients reporting employment numbers, only 406 report more than 100 FTEs; among the nearly 13,000 ARRA prime contractors working directly for the federal government, the number is only 45. The average FTE among grant prime recipients is only 9, even though they have received an average of $1.7 million in ARRA funds; for federal contractors the FTE average is 4 despite an average payout of $1.1 million. And once again, thousands of recipients report de minimis results, including more than 14,000 listing a fraction of one FTE. Some go as low as 0.01. Moreover, the zero-job phenomenon is still present. As in previous quarters, a massive number of prime recipients (more than 23,000 this time) assert that their employees (and those of subrecipients), did not perform a single hour of work in connection with their ARRA grant or contract. If we exclude those whose project status is listed as “not started” or “less than 50 percent completed,” we are left with more than 13,000. If we then remove those that have not yet received any ARRA funds, we still have more than 12,000 (12,739 to be exact) zero-reporters. This is up from 10,772 in the previous quarter. The Obama Administration and the Recovery Board continue to remain silent on these puzzling figures, and once again we are left to ask whether recipients are intentionally underreporting their job numbers. We know from overall unemployment data that many employers are refusing to expand their payroll because of weak demand for goods and services. But there is no good reason for companies that are carrying out well-paid projects for the federal government to claim that they are doing so with no workers at all. 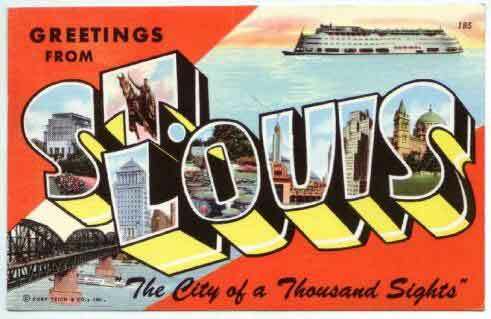 The East-West Gateway Council of Governments has released a damning report on economic development subsidy use in the St. Louis region. The report is the product of three years of comprehensive research. Researchers offer a conservative estimate that more than $5.8 billion in public funds have gone to subsidize private developments in the area over the last 20 years. More than $2.6 billion of those funds were committed through the use of highly controversial tax-increment financing (TIF). The use of TIF in the St. Louis region has been a sore spot for years, due to its dominant use by retail projects mostly involving outlets of national chains in the wealthier suburbs. This focus on retail expansion is described in the report as a “losing economic development strategy”, in which municipalities end up pirating jobs from their neighbors. The report uses mapping to demonstrate this leakage in economic activity, tracking the movement out of the urban core between 1998 and 2007. Most distressing is a key finding that TIF use exacerbates economic and racial disparities when these retail projects locate in affluent areas with few minorities. Efforts to estimate the full amount of economic development incentive spending were hampered by inadequate data. Without better and more widely available data, researchers, elected officials and the public cannot know the full impact of any tax incentive strategy. The report authors call for greater transparency and accountability and the creation of a “complete database of public expenditures and outcomes for all publicly supported development projects”. For more information on TIF use in the St. Louis region, see Chapter Six of The Great American Jobs Scam by Greg LeRoy. Evergreen Solar announced this month that it would shutter its solar wafer and cell production plant in Devens, Massachusetts despite the generous $58 million it received in subsidies from the state. Eight hundred workers will lose their jobs by the end of March this year. The company is moving its manufacturing operations to China, where it will enjoy higher levels of government subsidies in the form of low-interest loans and factory wages averaging less than $300 a month. When you compare a $300 monthly salary with an average Massachusetts factory worker salary of $5,400 a month, it’s little wonder that the subsidy awarded by Massachusetts makes little difference in the company’s long term business strategy – especially given the fact that Evergreen will be able to take most of the money and run. Of the $58 million award, $13 million was provided through an infrastructure subsidy, $21 million in the form of direct grants, and the remainder was provided in tax credits. Massachusetts officials stated that the state stands to recoup only $3 million of its $21 million grant, even though Evergreen constructed its factory just two years ago. Job creation subsidies provided to companies that have a history of outsourcing manufacturing jobs are a dangerous bet. When a company can retain nearly 90 percent of its development subsidy after operating for just two years, it’s time for stricter clawback requirements. Attempts to combat global market forces and federal trade policy with state tax subsidies are ineffective and wasteful. After Massachusetts’s experiences with Raytheon and General Electric, one might think they would have learned these lessons by now. Our new study, Show Us the Subsidies, evaluates how well states disclose information about job creation and quality resulting from state economic development subsidies. However, we were not in a position to evaluate the accuracy of disclosed data. Just such a controversy on this issue is emerging in Indiana. Over the last 18 months, the job creation numbers put out by the state’s primary economic development agency, the public-private Indiana Economic Development Corporation, have been challenged by WTHR investigative reporter Bob Segall in Indianapolis. Both the Governor and the IEDC claim to have created 100,000 jobs using subsidies. When Segall sought to confirm IEDC’s job creation claims, the apparent truth fell far short of those lofty promises. Segall looked up subsidized “job-creating” companies and knocked on their doors only to find a number of abandoned offices and empty cornfields. An audit released this week performed by an independent consultant confirmed Segall’s findings. Of the 57,100 jobs that recipient companies pledged to create in 2009, only 37,600 were actually created. That’s only 66 percent of the jobs the state said it had created, and far short of the 100,000 the IEDC and Governor claim. Worse, many workers in Indiana continue to suffer as the pain of the recession lingers on. It’s not the first time job creation numbers have been found to be severely flawed. A Milwaukee Journal Sentinel investigation in 2007 found similarly inflated findings in Wisconsin. Later, the Wisconsin legislature passed Public Act 125 requiring better disclosure on outcomes. What Indiana’s over-reporting of jobs tells us is that simply reporting promised job creation isn’t enough. Transparency must follow-through and report on concrete outcomes. Transferring state business recruitment functions from government agencies to private entities is not the panacea that its proponents suggest, and the track record of those few states that have taken the step is filled with examples of misuse of taxpayer funds, political interference, questionable subsidy awards, and conflicts of interest, according to a report published today by Good Jobs First, a non-profit, non-partisan research center based in Washington, DC. The report, entitled Public-Private Power Grab, is available at www.goodjobsfirst.org. “Rather than making economic development activities more effective, privatization is often little more than a power grab by governors and politically connected business interests,” said Philip Mattera, research director of Good Jobs First and principal author of the report. Interest in economic development privatization has surged recently. It is being promoted by newly elected governors in Wisconsin, Ohio, Iowa and Arizona who are urging that state commerce or development agencies be replaced by public-private partnerships (PPPs). The idea is far from new but it is not a common or standard practice. Economic development PPPs date back more than 20 years, but only seven states currently allow private entities to control their business recruitment functions: Florida, Indiana, Michigan, Rhode Island, Utah, Virginia and Wyoming. Several other states previously employed PPPs but abandoned them because of performance problems. >Resistance to accountability (Florida and Michigan). Based on these experiences, the report concludes that the creation of economic development PPPs is not a wise course of action and urges states to focus instead on making their existing agencies more effective and accountable. Respect for the rights of employees to organize a union (or to transfer a representation agreement that was in place when the entity was a government agency). As for the governance of PPPs, the report recommends that a governor not chair an entity’s board and not have absolute power to name all of the directors, among whom should be legislative leaders and representatives of labor, the non-profit sector and other constituencies. The report also recommends that PPPs be funded entirely out of public revenues with full legislative oversight. If private contributions are deemed necessary, they should be in the form of mandatory fees imposed on companies applying for and/or receiving subsidy awards. Barring voluntary contributions will make it easier to avoid the problems of favoritism and pay to play. Reminder! Good Jobs First is hiring. Which states will have the guts and smarts to rein in wasteful corporate giveaways—veiled in the sheep’s clothing of “economic development”—in 2011? Which states will ignore glaring, costly problems and fail to enact real reforms? A perfect budget storm is raging to help legislators and governors do what needs to be done, a crisis they shouldn’t waste. Tax revenues remain depressed because of the recession, and there won’t be another federal stimulus “patch” to states, cities or school boards. Financial analyst Meredith Whitney, who called the banking crisis, is predicting 50 to 100 cities will default on bonds this year. California and Illinois are already struggling with their bills. A perfect policy storm is also howling on economic development subsidies. Job creation is issue #1 for voters because of persistently high unemployment. And taxpayers’ appetite for government transparency has been whetted by Recovery.gov, the “Google government” movement, and smart phone apps—not to mention Wikileaks. As Good Jobs First revealed last month, 37 states now disclose company-specific data online about job subsidies—up from 23 three years ago—with #38 (Massachusetts) coming online this year (though most still have lots of room for improvement). In 2010, a few states moved to trim giveaways but many more resorted to harsh cuts and budget gimmicks. But in 2011 and budgeting for 2012, states have few places to hide: some will debate more drastic moves, even selling public assets. If ever there were a year when states should—and can—curtail unproductive corporate tax giveaways, it is 2011. 	Not officially an “economic development” subsidy, the “vendor discount” that costs 26 states about $1 billion in lost sales tax revenue each year ($126 million in Illinois alone). States have a clear choice in 2011 as they debate painful budget decisions. They can make short-sighted spending cuts while failing to acknowledge the corporate-tax “budget icebergs” that are harming revenues. Or they can protect long-term investments in education and infrastructure—which really do grow jobs—by finally cleaning up The Great American Jobs Scam.